Didn't see a music section for TTM, so I thought I'd post here. I'm very happy with this one. Been waiting a little bit, plus he's one of my favorite guitarists of all time. 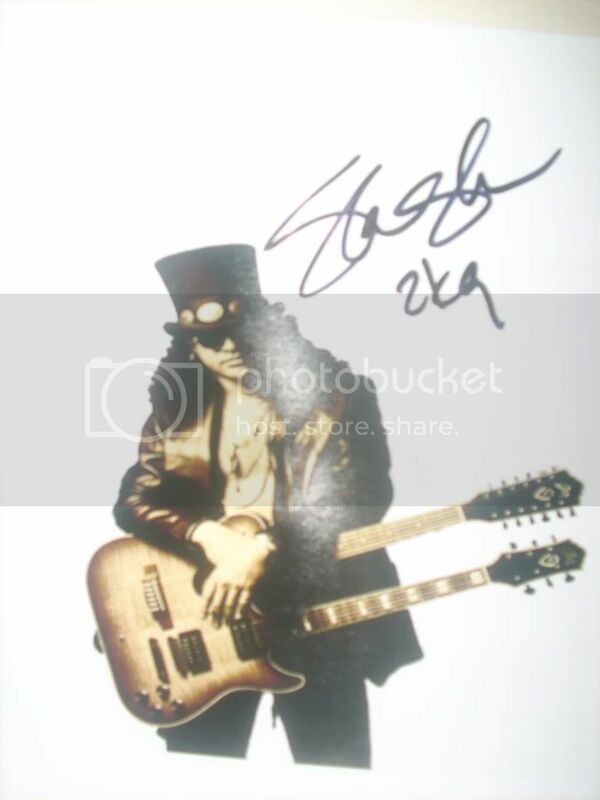 Slash is great with his fans, and always signs whatever is sent to him through the mail. I got my Use Your Illusion 1 CD cover signed that way a few years back. Almost considered having Duff sign it when I met him earlier this year. just got back a great 2 great slash pics tha other day. both signed in silver and looks great. address still works!